Having the memories of your wedding captured is something every bride & groom should treasure. Not only in the immediate weeks after the wedding, but in the years that follow. A record of joy and happiness that can be passed on to your children and grandchildren. 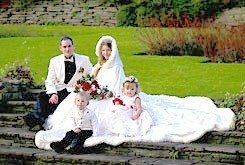 Eden Digital offer complete wedding photography packages that include prints, albums and video DVDs. They can attend your wedding for as little or as long as you want. Eden Digital do not limit the number of photos they take, regardless of the time they spend with you. Your day is precious, and unlike some photographers, Eden Digital will only book one wedding per day which ensures you have their undivided attention. 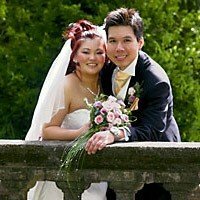 They aim to create an enjoyable, stress-free atmosphere on your wedding day using both traditional formal & 'candid' or photo-journalistic styles to provide you with a complete high quality wedding album. Each wedding is approached differently and tailored to the uniqueness of the bride & groom.